A perfect blend of latest technology and spectacular design, this black coloured digital watch from Casio is a perfect investment this season. This resin strap watch for men is high on quality and will complement casual outfits. 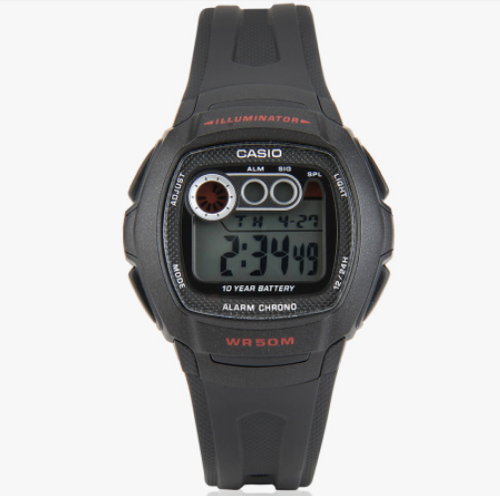 Its 50 m water resistance capacity further makes it ideal to be worn even when you are indulging in water sports.